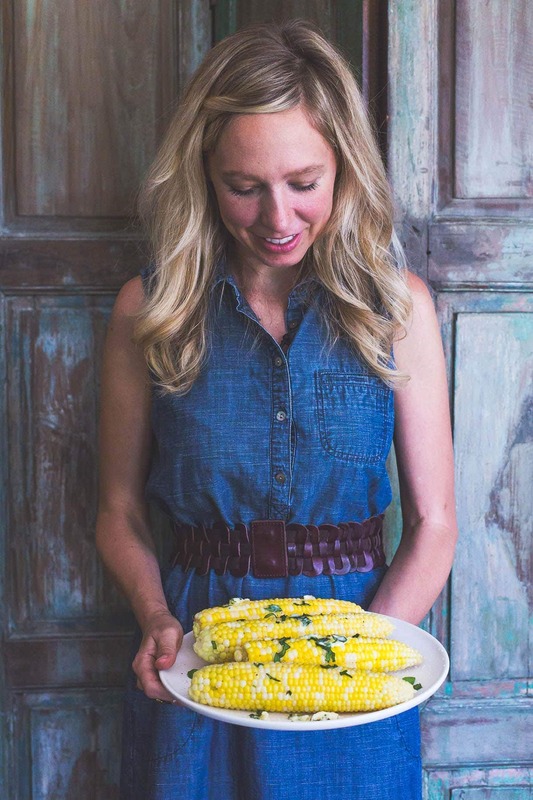 Sweet corn in the Midwest…. the golden child. It’s truly something special, and that’s not just a ploy to get you to move here. Between our rich soil, sun bathed days, and cool nights lies the sweetest, most tender crisp corn you’ll ever eat. 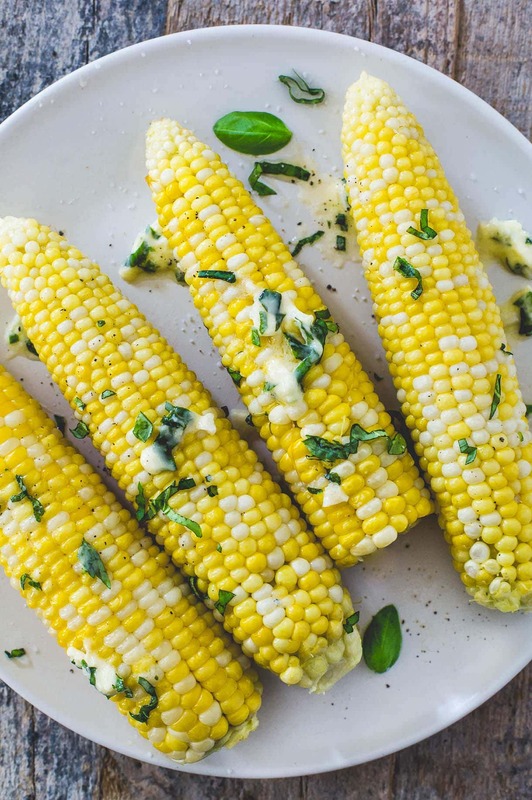 Growing up in the Corn Belt, some of my fondest summer memories include stopping at farmers’ stands along rural highways to buy fresh sweet corn picked that morning, with droplets of dew still hanging onto the papery husk. We’d cook it that night, and slather it with butter, eating with our hands (never those plastic holders). And that would be the meal, just corn. There were no complaints – just a fight for who got the last cob. I know grilled corn gets all the attention, but in my humble opinion, boiling is the quickest, easiest, and tastiest way to prepare fresh corn. The kernels stay sweet and juicy (instead of a little dried out, which can happen on the grill), letting go of the biggest crunch. 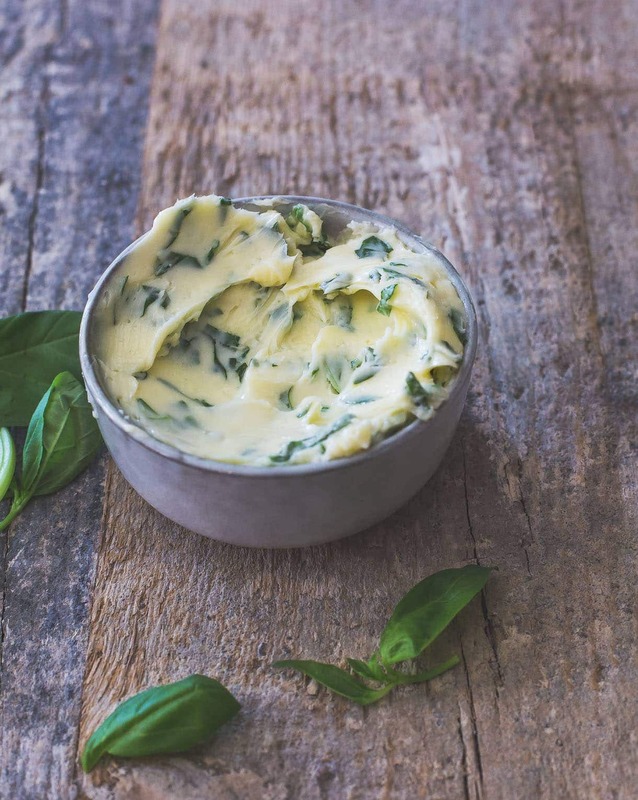 You’ll go from husking to eating in less than 10 minutes, and that includes the time to make the herby, garlic butter. 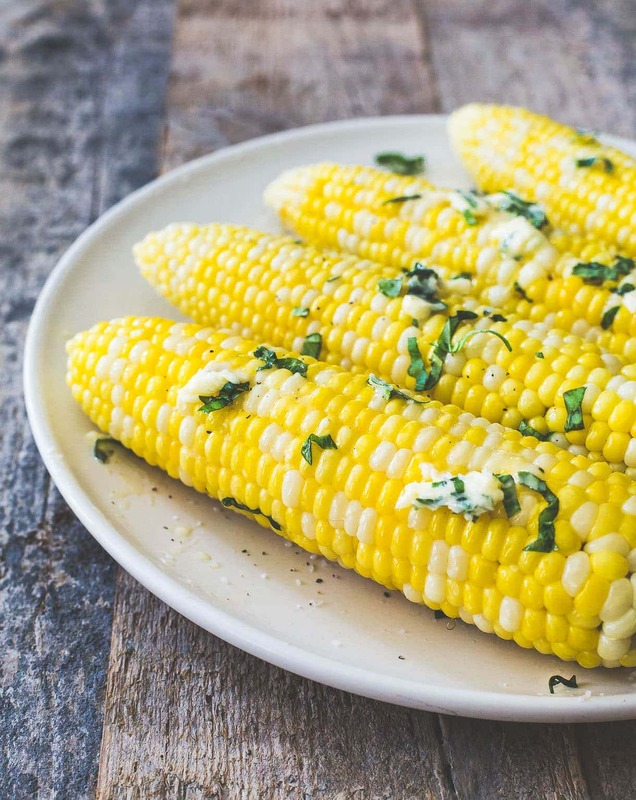 For maximum freshness, keep the corn in the refrigerator and husk just before cooking. Warmth/heat lets the sugars convert to starches, which you want to avoid because it is what makes corn tough/mealy. Husking Tip: to remove the hairs stuck in the rows, wet a paper towel and wipe down the ears. Once the water is boiling, add the corn, wait for it return to a boil, and then it’s ready! This means the corn cooks for 3-4 minutes, while the temperature is coming back up. And that’s it. Don’t listen to recipes that say boil for 8 minutes. ☺️ If overcooked, it will dry out quickly and lose it’s milky quality. Drain the corn immediately. Letting it sit in the water, even if the heat is turned off, will continue cooking it. Enjoy those fresh ears, one nibble at a time. Full recipe is below. xo! 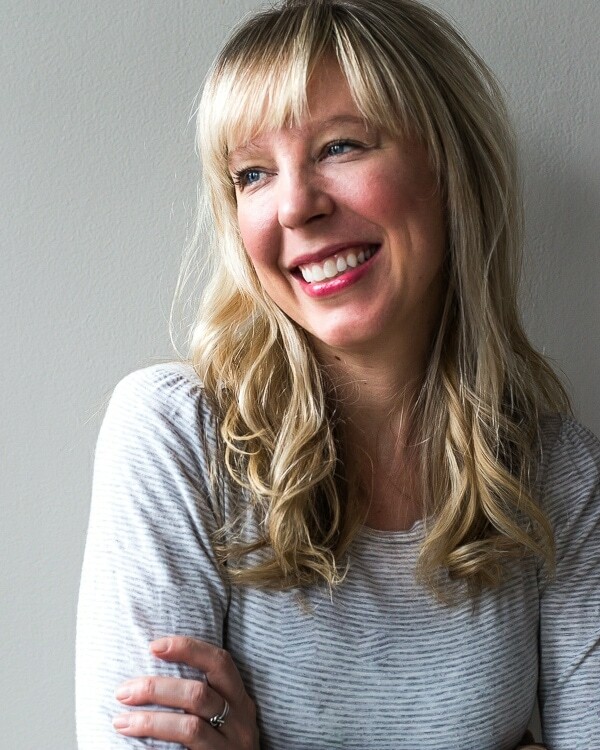 Extra love: This video was made in collaboration with my very talented friend, Jennifer Simonson. I feel so lucky to work with someone who creates beautiful work, and allows my personality to shine through. Also, could you help me and subscribe to my new You Tube Channel? There is a “Subscribe” button right underneath the beet picture. I’m trying to get to 100 followers so I can claim a personalized URL there for Heartbeet Kitchen. Appreciate you! Fill a large pot or dutch oven with lots of water, so that you corn will fully submerge. Add ¼ teaspoon salt and bring water to a boil. While water is coming to a boil, coarsely chop garlic and chiffonade the basil. Add to mixing bowl, then add butter and ¼ teaspoon salt. Blend with a hand mixer for 1 minute, until well whipped. Taste and adjust salt as needed. Once water is boiling, add corn. Push down with a tongs to fully submerge. Keeping the heat on high, let it come back to a boil, (usually takes about 3 minutes) then drain and rinse with cool water. Plate, and spread with butter, finish with salt. Looks delicious! I love the tip about keeping the corn in the fridge! Love that fresh corns – great photo! Yes ! As a fellow midwesterner-give me all of the corn! This sounds wonderful. I’m from the Midwest and will never tire of trying new ways to eat and prepare corn on the cob! another Midwest friend, yay! hope you’re enjoying all the summer freshness.